Last Saturday, we celebrated our anniversary by hosting a banquet. We had a good time and we all looked DIVALICIOUS! We would like to thank everyone who was in attendance. We hope that next year will be BIGGER AND BETTER! Happy 1 Year Anniversary to Divas in Action! This year has been very interesting and sometimes complicated but it has been worth it! 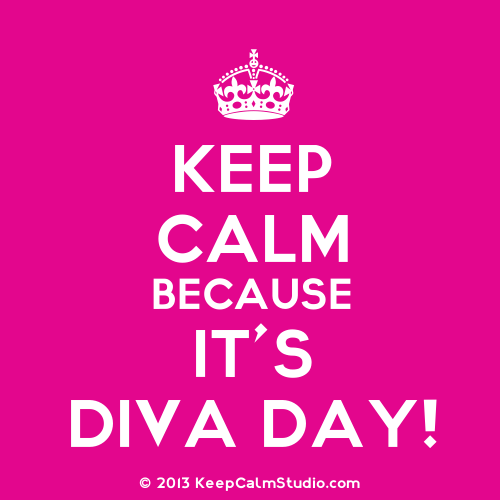 Cheers to MANY, MANY more DIVALICIOUS days ahead! 1. Wear something pink or purple. 2. Make our event picture your profile picture for 5/31. LET'S MAKE THIS A MOVEMENT!!! 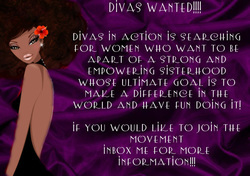 *Would you like to be apart of Divas in Action? Find out more information by going to www.joindivasinaction.weebly.com. We will be accepting new members in July! Welcome to the group, Janai! At our last meeting, we welcomed a new member: Ms. Janai Ellington! Welcome to the group! We are so glad to have you! Seeking members to fill open positions! If interested, please contact Brianna or mention it at our next meeting. Thanks! DIA Welcomes 2 New Members!!! Yesterday we welcomed two new members: Takisha Driskell & Carolyn Haynes. Welcome to the group ladies! We're so glad to have you! Thanks to everyone who participated in helping those in need. D.I.A. will continue to help the community and those families in need around the holiday season! Yesterday, we had our Iron Bowl Watch Party, which was a success!!! Alabama took the 2012 title beating Auburn 49-0! ROLL TIDE! BUT: the bakery messed up our cake! :( At least it was still delicious though!!! I sense a BCS Watch Party in the making...hmm?